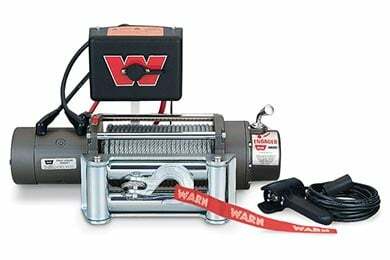 Warn 26502 - Warn Winch - Warn M8000 - FREE SHIPPING! Fantastic winch, went together with very few issues, and, hey, it works like a champ. This winch was very easy to install and works great! Don't have to worry about getting stuck any more! If you want a winch you can depend on when you're in remote locations then this is the winch for you. If you're a casual user then the cheaper chinese brands will do just fine. 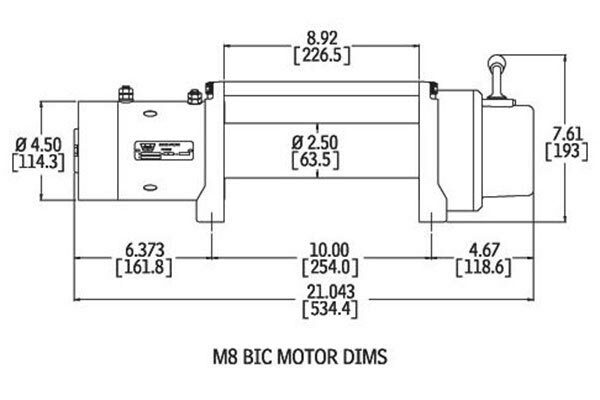 Even though the Smittybilt XRC 8 has similar performance numbers, similar warranty, and is cheaper, I won't have to worry if my winch is going to work or not when I need it the most. The winch and hidden mount was easy to install. Just follow the instructions. I have had several smaller winches on my four wheelers, equipment, and the best out of all the winches was the warn winch. That is why a chose a warn winch for my truch. This is the first winch I have purchased for a truck, and it is better than I expected! It's a shame I waited so long to get one. The M8000 warn winch is better than I expected, it is a Hoss! I got a discount from AutoAnything, and a rebate from Warn. Need I Say Anymore! Works well for our application. We needed a winch that could be moved from trailer to trailer for dragging equipment on to the beds. This winch with a cradle are working great. 6 of 17 people found the following review helpful. Cant not say anyting bad about the company that i bought this idem from but warn is going to repair as soon as it is picked up from my house to get fixed. Hope to get it back soon. Everything that is man made is not perfect....guess it was either a friday or monday winch. Will be glad to fill out another form from here when i get it back to make it better like i am hopeing warn will do. Reference # 758-989-925 © 2000-2019 AutoAnything, Inc.